Ben Affleck initially felt he wasn't the right actor to play Batman but was convinced by director Zack Snyder. Back in August it was revealed that Ben Affleck would be donning the cape and cowl to co-star as Batman in the Batman/Superman team-up sequel to Man of Steel. The reaction among certain sects of Bat-fans was, how shall we put it, angry. 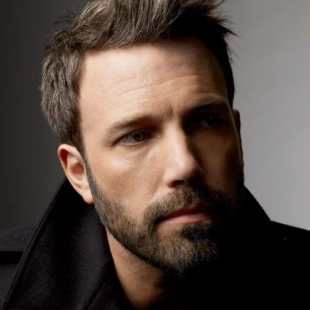 Affleck did have his defenders, but there were more than a few voices expressing outrage at the thought of Ben "Armageddon/Pearl Harbor/Gigli" Affleck taking up the mantle of the Bat. As it turns out, Affleck himself apparently had some of the same reservations. "Initially I was reluctant as I felt I didn't fit the traditional mold," he said, speaking about the role. It would apparently be director Zack Snyder who would convince Affleck to take on the job. "Once Zack showed me the concept, and that it would be both different from the great movies that Chris [Nolan] and Christian [Bale] made but still in keeping with tradition I was excited." Affleck wasn't willing to elaborate much, however, on what won him over. "I don't want to go further because I want to be able to capitalize on what is new about this iteration by having it be a surprise to the audience." Regardless of how surprising the new take on the character is, it's probably still going to take some work to win over Affleck's many skeptics. Then again, if he takes to truly channeling the Dark Knight he shouldn't have too much trouble performing superhuman feats. Maybe he just needs one of those nifty knee brace thingies that aging Bruce Wayne used in The Dark Knight Rises. We're not sure specifically how that would help, but it was fun to watch Christian Bale kick through solid brick.